And one hopes not a soul believed Captain America after he complained Sunday night of the Ryder Cup to Karen Crouse of the New York Times. Comments which he has never suggested were taken out of context or a direct misquote. Still, according to Brooks Koepka while talking on the Boomer and Gio show as part of PGA Championship—in February! ?—media duties, Reed insinuated to a team group text that the New York Times printed lies. "Obviously the things with Patrick, it just kind of took on a life of its own," Koepka said. "We've got a group text, and there were some texts that were sent. He kind of apologized." 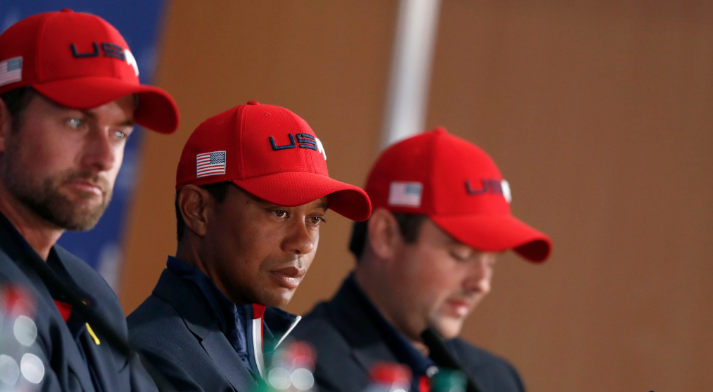 According to Koepka, Reed also included a message to his teammates: "Don't believe everything you read." Except, everyone does believe what was said and your teammates did too because, well, who could make up a story that a golfer was unhappy about a Tiger Woods pairing and suggesting others were to blame for simply awful golf? Golfweek’s Beth Ann Nichols reports on the decision faced for some female amateur golfers between the LPGA’s first major, the ANA Inspiration, and playing the inaugural Augusta National Women’s Amateur the same week. While World No. 1 Jennifer Kupcho initially turned down Augusta National because of a Wake Forest obligation, she’s since added the ANWA after that event cancelled. Others have chosen to go to Rancho Mirage. Kupcho decided to stick with the ANWA (she couldn’t possibly tell Augusta no twice), but four players ranked inside the top 11 chose the desert over Augusta green. Sweden’s Frida Kinhult, a freshman at Florida State, leads the way as the No. 2-ranked amateur in the world. She’s joined by the ultra-talented UCLA sophomore Patty Tavatanakit (No. 3), who tied for fifth at last year’s U.S. Women’s Open, Stanford’s Albane Valenzuela (6th) and 17-year-old American Rachel Heck (11th). Turnberry Is In The News A Lot These Days! Unfortunately, as wonderful as the reimagined golf courses and hotel look, the Trump Organization-owned resort and current (glaring) outcast from Open Championship rota is the subject of interest from multiple parties. A Times of London story, summarized by Business Insider’s Alexandra Ma, says U.S. prosecutors have issues subpoenas to DJT Holdings LLC, a company that owns President Donald Trump's golf courses in Scotland. The investigation centers around possible violation of the emoluments clause in the Constitution and financing of Turnberry. Prosecutors in Maryland in December subpoenaed documents related to properties controlled by DJT Holdings LLC, a company that owns Trump's hotel in Washington, DC, and resorts in places like Turnberry, Scotland. You can read the full filing at the bottom of this article. The documents are part of an investigation into whether Trump still profits from his businesses. It focuses on Trump International Washington, an old post office building in the US capital that Trump converted into a luxury hotel in 2016. Meanwhile David Enrich, Jesse Drucker and Ben Protess of the New York Times reported last weekend that Trump was turned down by longtime lender Deutsche Bank for a loan during early 2016 when the work at Turnberry was wrapping up prior to its summer, 2016 re-opening (which I reviewed here for GolfDigest.com). This may not be the ideal time to pitch Turnberry for the next Open rota spot in 2022. First World Crisis! Could The Bloated, Dated Tour Bag Finally Be Doomed? Reading Jonathan Wall’s gear notes at Golf.com and his explanation of the Waste Management Phoenix Open debut of lighter stand bags from Puma, Titleist and Taylor Made be the beginning of the end for a traditional tour bag. Fowler’s Puma-Vessel collaboration was limited to only 10 bags, while Titleist and TaylorMade unveiled versions — TaylorMade’s all-green FlexTech was specially made for the “The Greenest Show on Grass” — that are currently available to consumers. As for Fowler, he reportedly plans to unveil other custom stand bags over the course of the season. If you’re Joe Skovron, Fowler’s caddie, it’s impossible to complain about additional light loops in the future. It’s fascinating that Phoenix was seen as a natural unveiling spot, suggesting a younger crowd would be more accepting of a lighter stand bag. And just seeing some of the newer stand bags it’s clear they accomplish the same goal as the classic tour player bag, only streamlined, modernized and more user friendly. While there is undoubtedly great satisfaction for a player in pulling or returning a club without any resistance—huge perk of the tour pro!—those days seem headed to the trash bit. Especially when a well-designed stand bag actually looks like a better piece of advertising. Bob Weeks with the details on the creation of Canada’s first cannibis-friendly course, the current Lombard Glen Golf & Country Club. The jokes have been flying fast since Gordon Weiske and his partners purchased the 160-acre layout from longtime owners Dave and Jean Sherman, with plans to gain traction in the cannabis tourism market. For instance, a local media outlet suggested that instead of yelling “Fore” after an errant shot, players might now yell “Fore-20,” a shout-out to April 20, known among pot smokers as a celebratory date. And the groaners just keep coming. Weiske and his group hope to turn the local facility into a destination, adding to the golf with other activities such as a themed resort. He’s also hoping to bring golfers from Toronto via plane and has been working with a small airline to set up charter flights. These people need to move to LA. Every course is cannibis-friendly and has been since the 70s. At least. Rickie Says What We All Understand In Winning The Wasted: "I hope I never have to go through that again"
It was another wild and wacky finale in Scottsdale, with yet another rules of golf issue helping unravel Rickie Fowler’s lead before the regrouped and claimed the 2019 Waste Management Open title. Dan Kilbridge at Golfweek with the written explanation for those not agonizing with Fowler as things unraveled in surreal fashion. As it played out, Fowler made the triple bogey because he was given a penalty when his ball – which was deemed to have been at rest – rolled back into the water, the same as if he had hit it into the lake. The amazing thing about what just happened to @RickieFowler on #11 is that based on the NEW Rules of Golf, if the same thing had happened ON the green, he would’ve replaced the ball with no penalty. Why the inconsistency? This one is certainly unprecedented: a rule of golf suspended and just a month into its implementation. Furthermore, we have a retroactive rescinding of a penalty, admission that the wording of a simplified rule has confused people, and even the possibility of multiple recent past situations being brought up to the point that the PGA Tour referees are spending their days reviewing video. Since the situation during Round 2 of the Waste Management Phoenix Open, which resulted in PGA TOUR player Denny McCarthy receiving a two-stroke penalty under Rule 10.2b(4), the PGA TOUR has been in constant contact with the USGA about how the new rule should be interpreted. Oh to see that Slack! During the course of these discussions, this morning a similar situation from yesterday’s round involving Justin Thomas was also brought to our attention. Big names involved, this is getting too dangerous! It is clear that there is a great deal of confusion among players and caddies on the practical application of the new rule during competition, as well as questions surrounding the language of the rule itself and how it should be interpreted. So at least one thing is clear in this. As a result, with the full support of the USGA and The R&A, the rule will be interpreted whereby the two aforementioned situations as well as future similar situations will not result in a penalty. McCarthy’s score has been updated accordingly. Good thing he made the cut. We will be working vigorously with the USGA and The R&A over the coming days to further analyze and improve the situation with this rule. The USGA and The R&A will be making an announcement shortly. 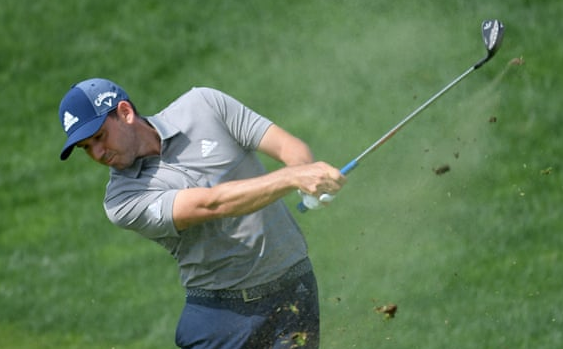 Following an ongoing dialogue with players and in cooperation with the PGA TOUR rules team, the USGA and The R&A revisited the penalty assessed to Denny McCarthy during round 2 of the Waste Management Phoenix Open. After an additional review of available video this morning, it was determined that the penalty would not apply in this instance nor in a similar instance involving Justin Thomas. In each of these cases, when the caddie was standing behind the player, the player had not yet begun taking the stance for the stroke, nor could useful guidance on aiming be given because the player was still in the process of determining how to play the stroke. The same would be true for any similar situation that might occur. The USGA and The R&A recognize that further clarity on how to appropriately apply this Rule is needed. We are committed to assessing its impact and will provide the necessary clarifications in the coming days. This would seem to be a new interpretation of the rule given that the language I’ve read and the instructions players received said that any kind of caddie involvement behind the player as they began their stance taking was a violation. Now it would seem a “useful guidance” element has been added. Wow. "It’s no insult to Pete Dye to say that Alice was literally his better half." Alice Dye was always in charge, from the day she told Pete it was time to get married to many times she walked a construction site with Pete and told him he was doing it all wrong. Alice was in charge of their family, of their business, of their image, their reputation and massive influence on the game of golf. If you consider Pete Dye a genius, as I do, then you absolutely must concur that Alice Dye was the genius behind the genius. Lots to chew on in the latest dust-up under the new rules and while Haotong Li’s was debatable because of the split second nature, it was a violation. Denny McCarthy’s infraction in the Waste Management Phoenix Open may be debatable enough from all points of view that a rules re-write is already necessary, as Ryan Lavner writes for GolfChannel.com. Because while there is little question his caddie was directly behind him and where no caddy should be these days under the new rules, McCarthy had technically not taken a stance and was a bit too far from the ball to reasonably hit a shot. He also then backs off and goes through his routine, something that would absolve his caddie on the greens, but not in a fairway. Oy. He was immediately deemed to have been in a “golf posture” and therefore guilty of a violation under 10.2b (4). The rule is destined to fail because of the difference between green and tee/fairway situations. Lavner offers a solution that I know the folks in Far Hills and St. Andrews will be grateful for. 3. Reinforce that only “deliberate” intent to align should be subject to a two-shot penalty. I do hate to take this opportunity to point out that the issues with this rule are only partially a product of wording. The lack of serious beta testing, particularly on a stage as large and bizarre as professional golf, is really doing a disservice to what are mostly simplified and improved rules. The other danger for the governing bodies if they don’t act fast: pro tours adopting a local rule workaround that damages their credibility. TaylorMade And PXG Settle Suits With Promises Of Patent "Cross-licenses"
Fascinating to see the two manufacturers settle and essentially announce they are both using the same technology, at least in the eyes of the patent world. First released in 2015, the original PXG 0311 irons are hollow with thermoplastic elastomer injected into the empty chamber behind the hitting area. The company says the TPE increases the durability of the thin face while enhancing feel and sound. PXG irons also have tungsten in the toe to lower the center of gravity and shift it to the center of the face. The company’s new 0311 GEN2 irons are designed in the same way. TaylorMade’s P790 irons are hollow, then filled a proprietary material the company calls SpeedFoam. They also have tungsten added to the toe. Parsons Xtreme Golf (PXG) and TaylorMade Golf Company jointly announced today that they have reached a settlement of the pending patent litigation and related patent disputes between the parties. Under the terms of the agreement, each company will have specified rights to make club products under patent cross-licenses. Details of the settlement are confidential. Lots to cover, from the European Tour in Saudi Arabia to news out of Augusta to new rules dustups. And don’t forget we had enlightening chats on those new rules and Saudi Arabia in recent weeks worth revisiting if you did not catch them the first time.